The GE Profile 30 in. Electric Convection Wall Oven with Built-In Microwave features 1,000-Watt of cooking power to help deliver great cooking results. The 1.7 cu. 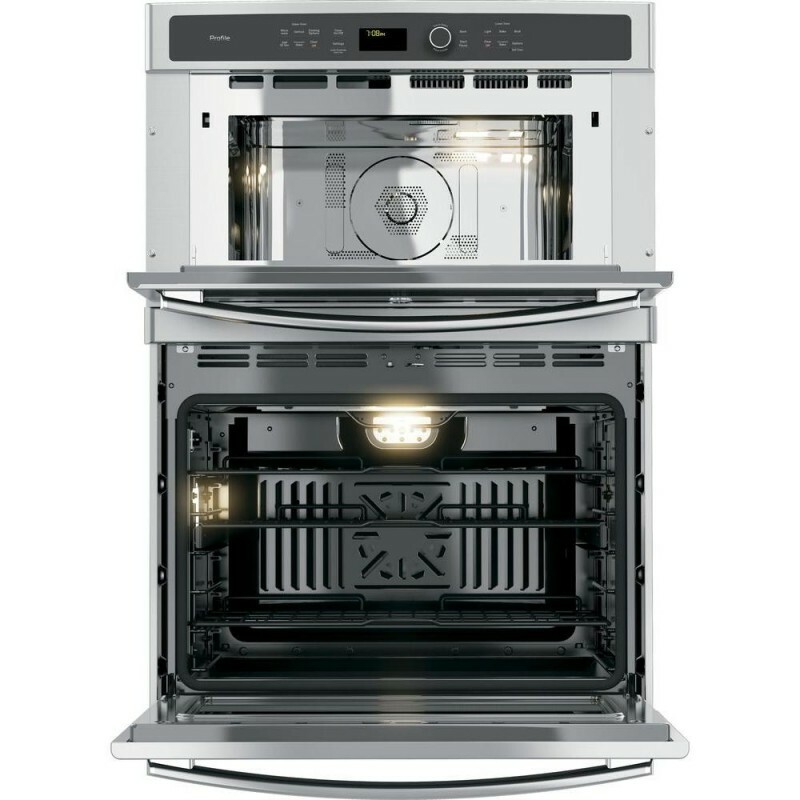 ft. capacity microwave can accommodate various sizes of cookware and the 5.0 cu. 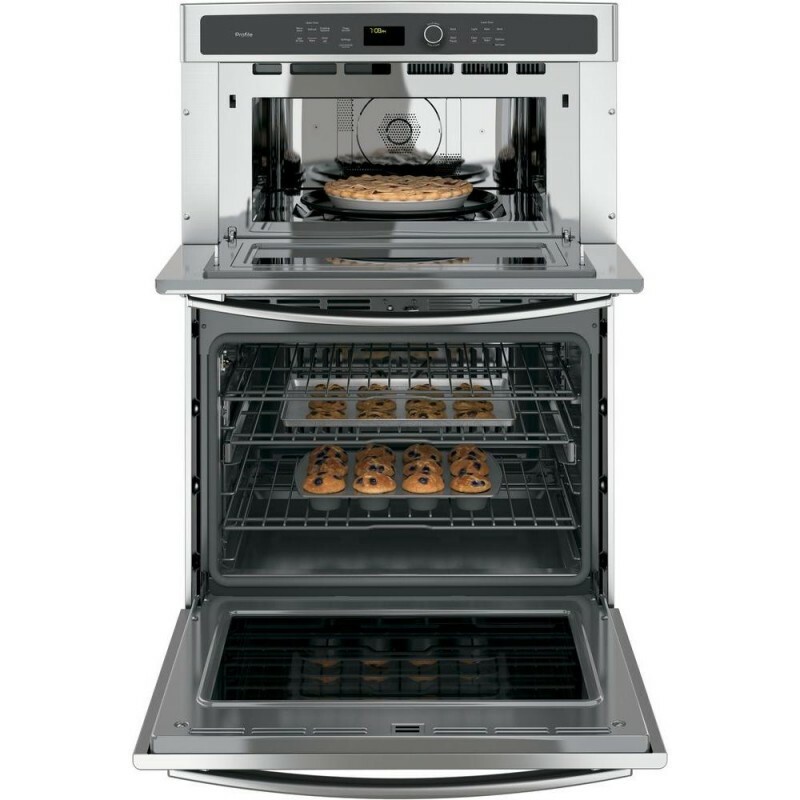 ft. capacity oven is ideal for holidays, dinner parties and everyday family cooking. 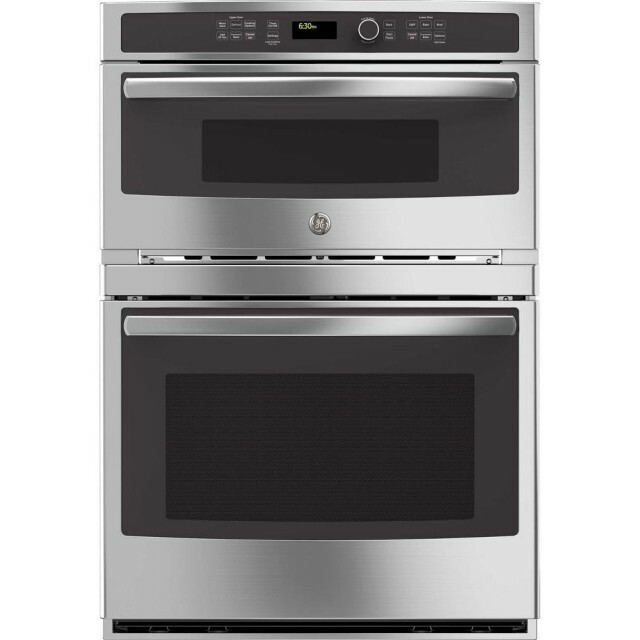 The oven's True European convection achieves delicious results and evenly baked foods using a fan and third element to circulate warm air evenly around the food. Love it! We have had his unit about 6 weeks. So far we love it, especially the microwave. We replaced an 18 year old unit, so we’re very happy with the features. There are a lot of pushing buttons sometimes to start the microwave, but you get used to it. People that complained about he lack of control over time, we found you can increase or decrease the time once it starts. 15 seconds, change it to 20. Beautiful addition to our kitchen! Day two after install, love all the features and great quality, love the new oven rack finishes, it was time! Great product with nice look and great features I like the convection in microwave as well. Pretty efficient, nice look and easy to clean. Well Designed Microwave Oven Combination Easy to use all features and several preset settings are available. Good upper-oven / Microwave combo for the money We bought this oven in June '18. It was fairly easy to install. Nice looking with clean lines. It looks to be packed with lots of advanced capabilities - but I am disappointed in the lack of basic features. For instance, the "timer alarm" has only one volume setting and it is low - very hard to hear. The cook timer is pre-set with a dial. You cannot cook/heat something for 20 seconds. You have to select either 15 or 30 seconds. Overall it seems a good appliance, but I'm not convinced removing the numeric touchpad and some basic features was a good idea.